The worst part about treating any kind of sleep disorder whether it is excessive daytime sleepiness, sleep apnea, narcolepsy or simple snoring is arriving at the right diagnosis. 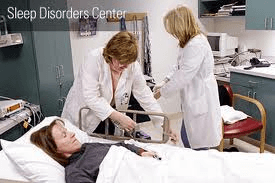 To diagnose the type of sleep disorder a patient is suffering from as well as the severity of the condition is extremely tough because most of the symptoms that ought to provide clues show up when the patient is asleep. Most people are unaware that several health problems are directly linked to how well or not they sleep. Undiagnosed sleep problems can significantly increase the risk of several ailments including high blood pressure, heart attacks, strokes, diabetes, etc. Sleep disorders can also result in extreme sleepiness during the day, increasing the risk of accidents on the road or at work, not to speak of the serious damage they cause to both personal and professional lives of victims. A sleep study is one of the most effective and trustworthy diagnostic tools to know the type of sleep disorder the patient is suffering from as well as its severity. Narcolepsy, sleep apnea, idiopathic hypersomnia, seizures and many other ailments are diagnosed with the help of a sleep study test. Of all the different diagnostic tests available to the doctor to diagnose sleep disorders, polysomnography is perhaps the most popular, objective and trusted tools. The term polysomnography originates from the Greek language, where poly means ‘many’; somno means ‘sleep’ and graphy refers to ‘writing’. Therefore, polysomnography is a kind of sleep study that aims to measure several critical physical and physiological parameters during sleep. CPAP Study: Used to set and adjust the right air pressure for CPAP therapy for sleep apnea patients. Home Sleep Test: Polysomnography can be done either at home or at a sleep clinic. 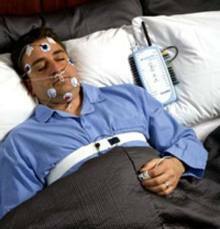 The home sleep test involves using a portable-monitoring system for detecting sleep apnea in adults. Maintenance of Wakefulness Test (MWT): This test measures daytime alertness. Nap Study (MSLT or Multiple Sleep Latency Test): An objective diagnostic tool that tests sleep onset rapid eye movement sleep periods (SOREMPS), useful for diagnosing narcolepsy. According to the American Academy of Sleep Medicine (AASM), MSLT is considered to be the de facto standard for the objective measurement of sleepiness. Which of these sleep studies is most revealing? Currently, polysomnography is considered the “gold standard” diagnostic test for sleep disordered breathing (SDB) and other sleep disorders. This diagnostic procedure is usually performed by a specially trained technologist under supervision of a qualified physician (e.g., respirologist, neurologist, or psychiatrist), who later interprets the recorded results. It is a multi-parametric diagnostic procedure that detects and records several biophysical changes that occur during sleep. The results can diagnose a range of sleep disorders including sleep apnea. You feel overtly sleepy during the day, even when you have rested enough during the night. You gasp for breath or make choking sounds during sleep, marked by intermittent pauses in breathing. You have creepy sensation in your legs that go away with massaging. You dream while falling asleep. Your muscles weaken suddenly when you laugh, feel angry or feel excited. You are incapable of any movement or speaking when you wake up. 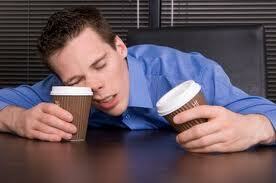 To remain awake during the day, you need help of stimulants like coffee, etc. You are on medications for heart problems, anti-obesity, diabetes, hypertension or ischemic heart disease and have experienced any of these symptoms. 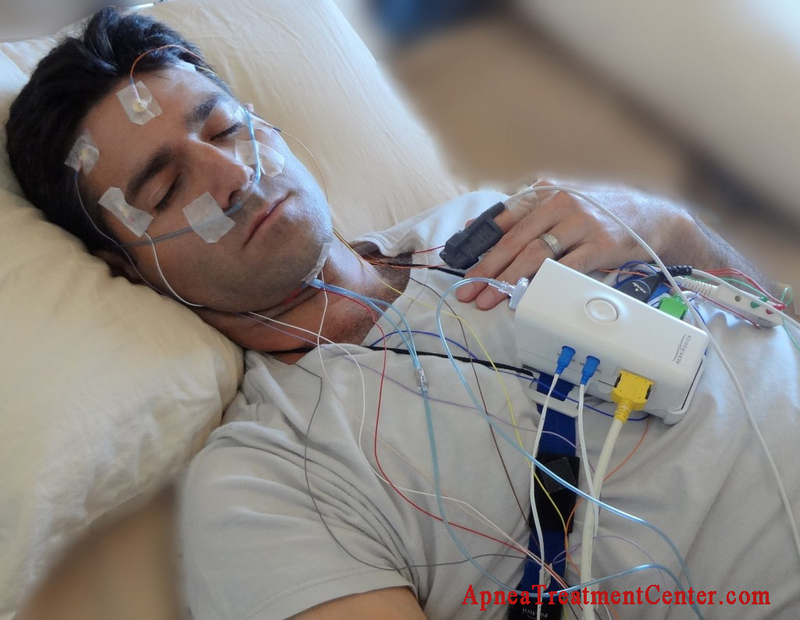 The sleep study done by the polysomnogram (PSG) machine is called polysomnography. The study consists of a series of tests to assess sleep cycles and stages. Some call it the overnight sleep study, since such a test requires overnight stay at a sleep clinic. Since polysomnography is commonly used to diagnose sleep apnea, many call it the sleep apnea study. Essentially, it records several body movements and functioning during sleep. Though most people prefer to undergo polysomnograms at authorized and accredited sleep study centers, a sleep study can also be done at home, in which case, a qualified sleep technician explains the test in great details and also coaches him or her how to record the information in the computer. 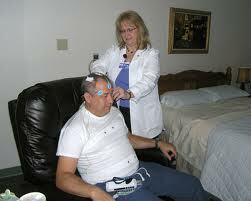 For home tests, polysomnography is carried out with the help of portable machines. What are the parameters studied during the overnight sleep study? 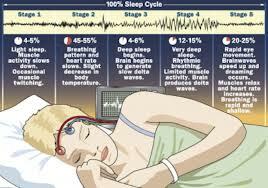 Study of brain waves during sleep: this is done with the help of an electroencephalogram or EEG. This part of the study helps to check if a limb or respiratory movement interrupts sleep. Study of eye movements done with monitoring help from an electro-oculogram (EOG).With sensors placed close to the eyes, this study involves recording data pertaining to REM sleep and measures its duration. Study of muscle tension and movements during sleep involving an electromyogram (EMG) monitor. This involves keeping additional sensor on the chin to measure muscle tone. The doctor could also do an EMG test for the leg to study restless leg syndrome. Study of oral and nasal airflow to measure the frequency and duration of each breath. Study of chest as well as abdominal movements. This can help the doctor to differentiate between central and obstructive sleep apnea. Study of loudness of snoring with the help of an audio recording. This test is necessary to assess whether the disorder is a case of simple and ordinary snoring or something more serious like sleep apnea. Blood oxygen levels are studied with the help of oxymetry. This test helps the doctor to assess the insufficiency of oxygen during apnea episodes. Study of effort exerted by the patient for inhaling and exhaling. Over and above all the above tests, the overnight sleep study includes a full video recording of the patient while asleep. Often the patient does not recall events of sleep talking or sleep walking, etc. A video recording, when part of the polysomnography test, can put all doubts to rest. Where are such tests performed? 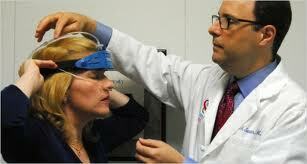 Laboratories for sleep-related breathing disorders focus primarily on illnesses like sleep apnea. For other sleep disorders expect to be d irected to sleep disorder centers. What can one expect from the accredited centers? The doctor must have expertise in medicines for management of sleep disorders. This doctor is also responsible for overall patient care. A sleep specialist who is board certified in sleep medicine must be on the staff. Facility ought to train all members of staff regularly. Fees and billing must follow both federal and state regulations. All medical practices must follow federal, state and local regulations. 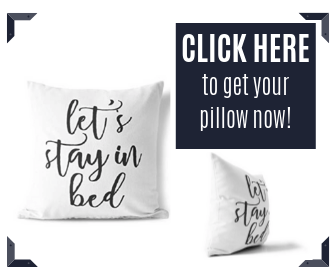 The best option is to go to the website maintained by the American Academy of Sleep Medicine for a list of state and city-wise accredited sleep centers. What happens during the study? What should you expect? There are several sensors that are attached to different body parts that record events during sleep. It measures the time required to fall asleep as well as time needed to enter the deep restorative phase (REM) of sleep. Many centers also video record the movements while the patient is sleeping to note any irregularity, etc. Usually, you would need to arrive at the center sometime in the evening, when you would be advised to follow the usual routine of diet and exercises, if any. However, you would be asked to refrain from taking any sleep medicines. After this, you would be fitted with the sensors for the overnight sleep study and required to go to sleep. While most patients fall asleep quickly, some people have problems in getting sleep, in a new environment, especially, if they are already having trouble falling asleep. The sleep studies continue through the night. Incidentally, polysomnograms are also done during the day for subjects who have irregular sleep patterns or who cannot get sleep during the night. Some tests, like the MSLT are also done to assess excessive daytime sleepiness. 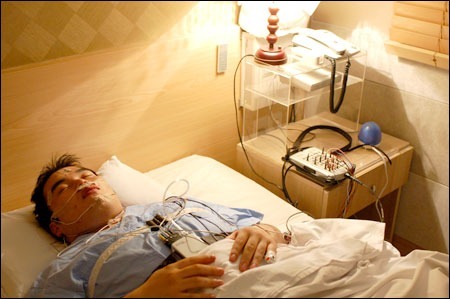 During the PSG sleep study, a qualified technician monitors and records all relevant data. All measurements are taken with the help of telemetry equipment that is connected to the sensors attached to the body of the patient. The polysomnogram machine is normally placed in an adjoining room for remote monitoring. This prevents the patient from feeling scared or overwhelmed being surrounded with so many machines, monitors and wires. Testing at home or at a sleep center? Location problem: Sleep evaluation at a sleep center req uires the patient to spend the night at a new environment which might be a problem for some patient s.
Diagnostic limitations: Other than sleep apnea, sleep centers have the facilities to detect several other sleep disorders; home testing allows only detection of this disorder. Limitations on age: Diagnosis at a sleep center can be done for patients of all age groups including older adults; home testing could be insufficient for older adults who may have other medical conditions that affect sleep. Recording of sleep data: An overnight sleep center collects signals of all vital signs that are linked to sleep which are recorded in 12 separate channels (centers accredited by American Academy of Sleep Medicine); home testing can detect only those signals that help in detecting obstructive sleep apnea. Accuracy of results: Overnight sleep centers have shown to provide more accurate results with low failure rate. While home testing method provides accurate data for sleep apnea, for other sleep disorders, it provides less accurate results. Be frank with your doctor regarding the current medications you are on, as well as any allergies you may have. Unless under specific instructions, do not stop taking your usual medication before going for the polysomnography. For getting sleep studies like MWT and MSLT, you would need to get some good restful sleep the previous night, as you might have to remain awake in between tests. Most patients are filled with apprehensions before going for polysomnogram. Fear of electrical shocks, ability to sleep during the sleep study, are some of the frequently asked questions that crop up in the minds of first-timers. First of all, there is no electric current that passes through the sensors. The electrodes simply detect the signals produced by different parts of the body and the data is recorded. Since disconnecting the set is quick and easy, and a sleep technician is on duty while the overnight sleep study is in progress, the patient can always demand to be unwired in the event of wanting to use the restroom, etc. 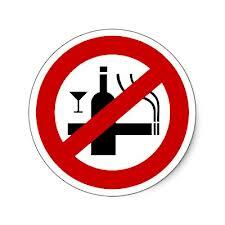 But such eventualities can be avoided if no fluid is ingested after getting admitted to the clinic. Though this may sound strange, most people sleep better in a sleep laboratory than they would sleep at home. Even if the patient is unable to get sound and restful sleep at the lab, the polysomnography test results can still reveal critical information that would eventually help the doctor to diagnose the condition and initiate treatment. In a move to eco nomize on operational costs and usage time, many clinics opt for overtly automated polysomnograms. In practical terms this could mean that electroencephalogram (EEG), eye movement, and muscle activity monitoring could be missing from the polysomnography report (essential for sleep stage scoring). This is particularly relevant for polysomnograms done at home. While these home test kits successfully record number of apnea episodes during the night, degree of oxygen deficit and heart beat irregularities, but they fail to cover an important aspect in the polysomnography report – disruption of sleep. We need to remember that a comprehensive polysomnography report has to carry information regarding sleep stages and sleep continuity along with airflow and oxygen saturation levels. In fact degree of sleep disruption could by itself be a sleep disorder that needs immediate medical attention. Over and above polysomnogram doctors may also recommend a Multiple Sleep Latency Test or MSLT. Done the day after the overnight sleep study, this test primarily measures daytime sleepiness. Excessive daytime sleepiness incidentally is one of the most common signs of several disorders. Enormous amount of data is collected during the overnight sleep study that examines several parameters during sleep. The analysis of the data is usually done by a sleep technician after reviewing the study at 30-second intervals called ‘epochs’. Test results of polysomnograms test are collated first by the polysomnography technologist who interprets the data to note the sleep stages as well as cycles. This is then reviewed by the doctor attached to the sleep clinic. Considering the complicated nature of data collected it could take up to 2 weeks for the polysomnography results to be finally ready. You would normally receive a call from the sleep clinic for a follow-up meeting with the sleep doctor who would review the polysomnography results with you, discuss the implications of the various values as emanating from the report and also recommend possible therapy options. It is imperative that to understand the outcome of polysomnograms, you need to get familiar with several new concepts and terms, without which you really cannot make any sense of what is in front of you. Sometimes the Respiratory Disturbance Index (RDI) can be used. RDI includes not only apneas and hypopneas, but may also include other, more subtle, breathing irregularities. This means a person’s RDI can be higher than his or her AHI. Time of onset of sleep: Called ‘sleep onset latency’ this is measured by interpreting EEG results that monitored the brain waves. Normal value is 20 minutes. Sleep efficiency: It is the number of minutes of sleep you had divided by the time you spent in bed, not sleeping. Normal is 85 to 90% or even higher. Sleep stages: This is a collation of information from 3 sources – EEG, EOG and EMG of the chin. The report will also reveal the REM sleep as well as non-REM sleep stages. While stage 1 and 2 are light sleep, stage 3 is deep sleep. Time shared by each of these sleep stages can throw enough light on the type of sleep disorder you are suffering from. Several factors affect the different stages of sleep, including medication, alcohol intake as well as degree of sleep deprivation. Breathing irregularities: here the interpretation is derived from airflow measurements. For example, apnea causes complete cessation of airflow for 10 seconds or more; hypopnea causes 50% drop in air flow for a minimum of 10 seconds, etc. A polysomnogram report would also carry information about sudden ‘arousals’ from sleep. A result of sudden surge in brain activity, it can be due to breathing irregularities, leg movements, etc. Such sudden arousals mean, in terms of polysomnogram interpretation, the patient is experiencing disturbed sleep and could explain reasons for excessive daytime sleepiness, etc. Polysomnogram interpretation of parameters like heart beat, pulse rate etc is relatively easy, considering that alongside every finding, the normal values are also mentioned. Studying the differences, if any, gives you an idea about the severity of the condition. One of the main reasons why a treacherous ailment like sleep apnea remains undiagnosed most of the time is because the symptoms are elusive as they appear only during sleep. A sleep study evidently, is the only scientific, objective and trusted diagnostic tool that not only reveals the type of sleep disorder that is affecting you but also how severe your condition is. Thus it makes sense to ask your sleep doctor for a sleep test, if you are experiencing any of the distressful symptoms of sleep apnea or simply having sleep problems.